The challenge when a new form factor arrives for the iPhone is that the case selection can initially be limited. This time out, manufacturers have had a little more time to prepare for the device, since the exact specs were announced over a month ago. However, a lot of us case people like to take our time before putting down the big money that some of the higher quality models will set us back. It’s good to have a decent one lined up to handle that first month or more while you comparison shop. Unfortunately, the kinds of “value cases” that you find on eBay and Amazon are often inexpensive for a reason. The knockoffs at the big box retailers aren’t much better, either, and usually cost more. We’ve probably all bought one of these and had it permanently in a drawer within two weeks. Last year, I had to pick up a new case for my iPhone 7 Plus because of the new dual camera design. I did my usual of looking around Amazon for something that wouldn’t be a complete throw-away. 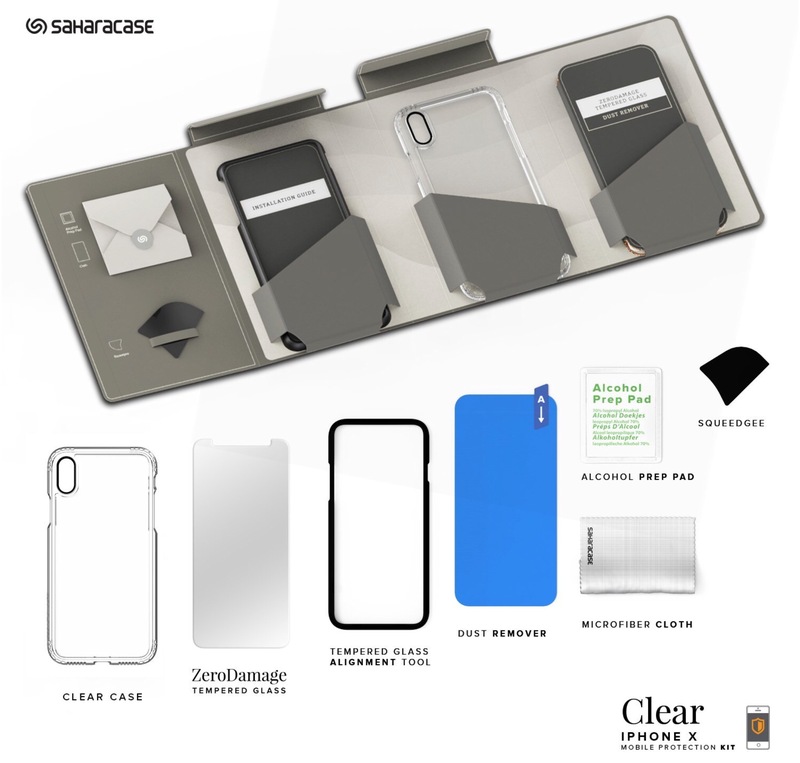 I came across a nice looking package deal from SaharaCase that had good reviews. It wasn’t anything too fancy, but it had a case, tempered glass screen protector, and the cloth and install assist tools for only $19.99. With Prime 2 Day shipping, I was able to get it delivered before my 7 Plus arrived, which was exactly what I wanted. 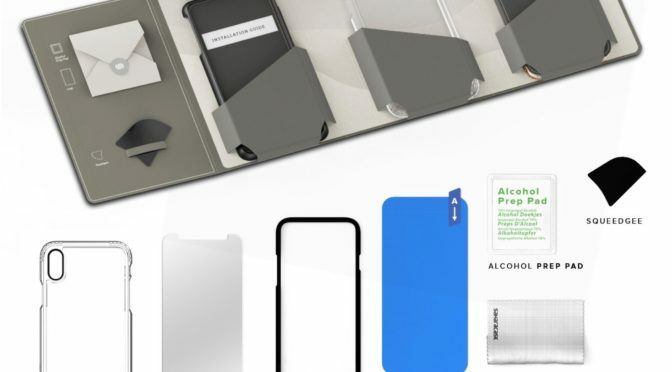 As you can see, the package has separated compartments with a cleaning cloth, an install squeegee, a screen protector install guide, the case itself, and the screen protector and dust remover. I was quite surprised to get such a put-together product for only $19.99. What really impressed me was how helpful the extras included with the case and protector were. 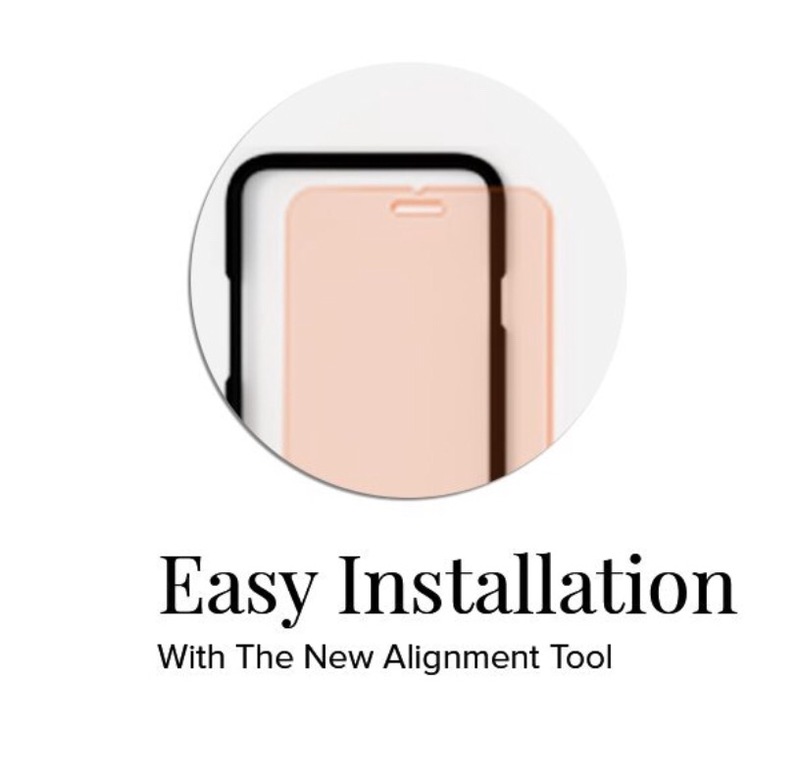 The install guide is a great idea that I’ve only seen included with a couple of more expensive screen protectors. This makes installing the glass screen protector absolutely fool proof. You can’t not line it up right with this guide blocking all other avenues. I’ve also seen dust removing cloths and pads included with other screen protectors. However, I’ve never seen one that was sized for the screen, so you could hit the whole thing in one pass, and then immediately follow with the protector. As for the actual case, it isn’t anything to write home about, but it is better than many inexpensive cases that I have used in the past. The version I chose is completely clear, so it shows off the looks of the iPhone, which I liked. I liked that the corners and the camera cut out are re-enforced, adding a little extra drop protection. Also, the case fills in around the iPhone’s protruding camera lens, so the case will sit flat on a flat surface. I actually ended up using this SaharaCase for a few months, before I got a few to review for the site that were higher quality. However, it never permanently ended up in a drawer after that. I would still go back to it on occasion when I wanted to use one that I didn’t mind getting knocked around. Then, when my Dad upgraded to the iPhone 6S Plus this Summer, I gave it to him and he is still very happy with it. I never ended up installing the glass protector, but that was because I already had one before I bought this, and then I ended up keeping the ZAGG Sapphire Defense protector on my 7 Plus after reviewing it. I just left the SaharaCase in reserve, in case I ever needed a spare. However, by the looks and reviews, I think it will be perfectly adequate to get started with. 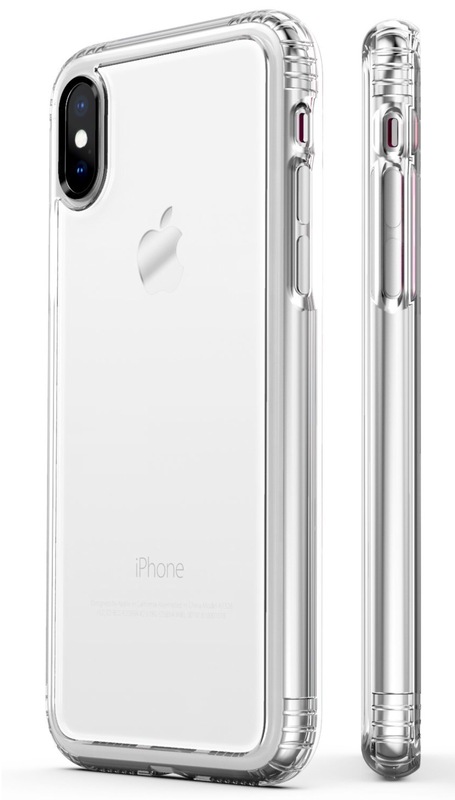 After I preordered my iPhone X on Friday and then wrote a quick post about it, my attention turned again to cases. I went back and looked up what I had bought for my iPhone 7 Plus in my Amazon order history and was reminded of the name SaharaCase. I looked it up, and found the same great deal for the iPhone X. I ordered it and it arrives today. It’s good to know that, while I may find something much better later on, my X will be adequately protected from day one, but in such a way that I can still enjoy what it looks like. 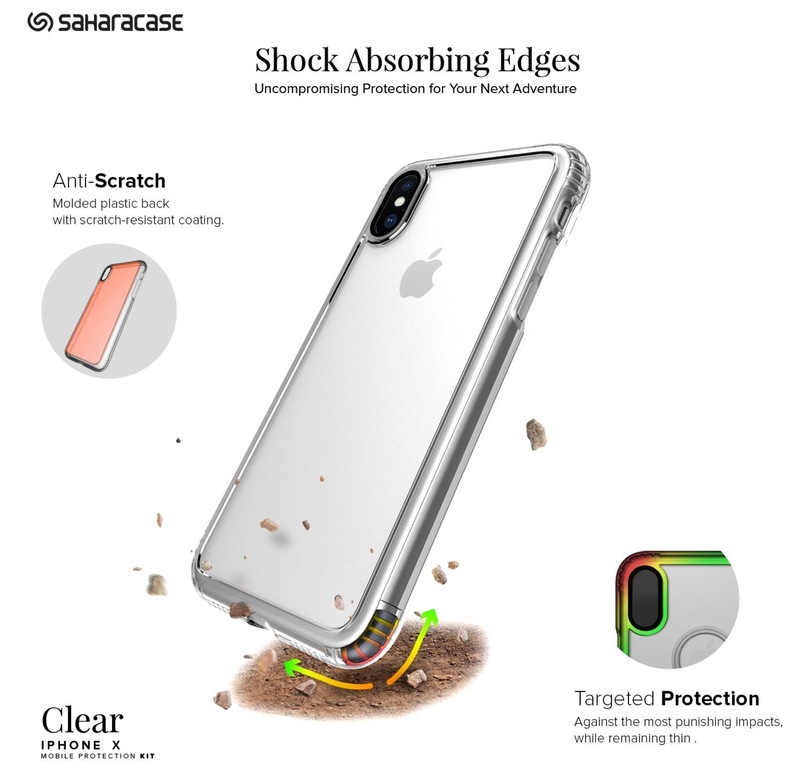 If you are still looking for a good, inexpensive case to get you started with your iPhone X, then the SaharaCase should be a worthy option based on my experience with last year’s iPhone 7 Plus version. You can find the SaharaCase Protective Kit Bundle at Amazon for $18.99.